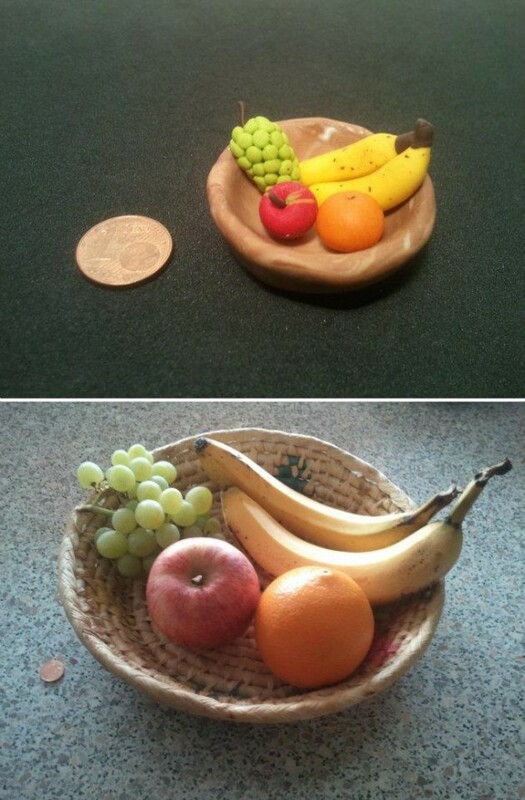 I made that little fruitbasket out of clay. 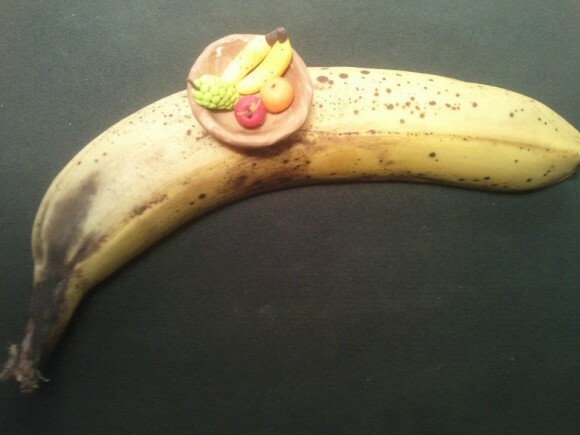 Afterwards, I arranged real fruits the same way just for the fun of it. Hussa!